Adrian Chirtea is one half of the Twin Duo “Blackberry Jam” his brother name is Julian Woodrow. The boys are actually both Woodrow’s but Adrian has always used his Mothers Maiden Name. After earning over 2.4 million hits on YouTube, the singer songwriter duo Adrian and Julian are on the eve of the release of their first album “End of the Night”. With the master in final preparation for duplication, the new album will be shipping shortly. 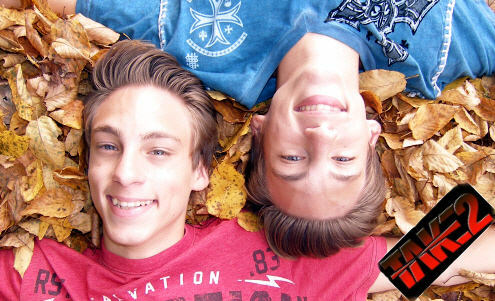 The 17-year-old identical twins have been working on their collection of upbeat originals and crooning love ballads for over 2 years. After nearly a year of seemingly endless deliberation, Adrian and Julian finally decided to change their band name from Blackberry Jam to Take 2. 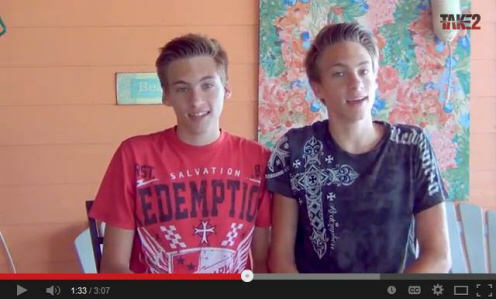 In addition, they wanted a band name that would better emphasize the heart of their existence, being identical twins. Since childhood, the two brothers have been completely inseparable. They like the same music, have the same friends, earn the same grades, and barely ever disagree. 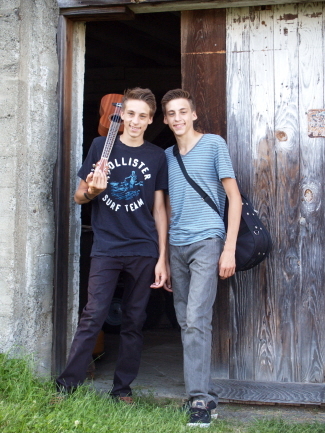 Our last update for Adrian Chirtea and Julian Woodrow or better known as “Blackberry Jam” found them enjoying songwriting and recording sessions with teen vocal artist Thilo Berndt from Germany, after attending last year’s Prodigy Camp in Washington State. 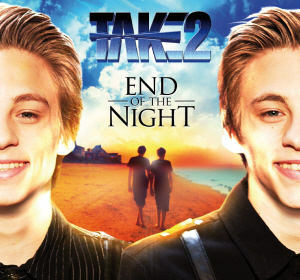 The two boys, who are identical twins, have now expanded their careers venturing into acting as well as continuing their song writing and vocal recordings. 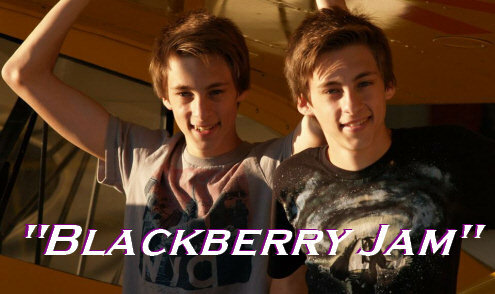 “Blackberry Jam” is more than just two creative young men with an incredible ability to entertain and make you laugh. These guys have continued to hone their skills leaving me without doubt that their first album, which is currently getting ready to be released, will be more than a huge success! The boys who have been singing since they were in the third grade kicked off their professional career at 14 years of age after begging their Mom to take them to audition on the X-Factor. That successful audition led them all the way to the boot-camp portion of the show before being eliminated. “It was a fantastic experience where they met scores of budding artists which really cemented their resolve to become musicians;” their mother Heather exclaimed. Over the following two years the boys published YouTube videos every two weeks, earning them over 2.3 million hits and 14,000 subscribers. This motivated them to develop their instrumental skills in ukulele and guitar. Last year both boys were awarded scholarships to attend Prodigy Camp under the direction of Rick Stevenson which set them on course to become amazing young songwriters. In fact, this month they will return to Prodigy Camp with yet another scholarship and an album full of original songs.